Corruption unnoticed is corruption unchecked, according to the Pulitzer Prize-winning editor-at-large of the Boston Globe. 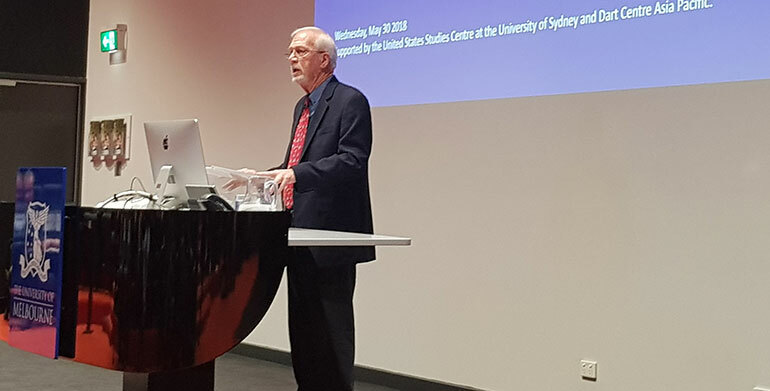 Journalist Walter Robinson, who lead the Spotlight team’s investigations into abuse in the Catholic Church, delivered the annual AN Smith Lecture at the University of Melbourne on Wednesday. Addressing the booked out public lecture, Robinson spoke about the role of investigative reporting in keeping democracy alive and power to account. “As editors have slashed away at costs, the expensive items have been first on the chopping block, and investigative reporting is expensive,” Robinson said. Under the title, From the Catholic Church to President Trump – Investigative Reporting vs the Excesses of Power, Robinson gave a wide ranging speech about the future of journalism and outlined how the Globe first broke the story into abuse in the Catholic Church in 2002. He described it as “the most difficult reporting any of us had ever done”. “We were dealing with an institution that had ready access to all the levers of political power and its arms on the shoulders of Boston’s elite,” he said. According to Robinson, they began publishing their stories on 6 January 2002, and just two weeks later received more than 10,000 pages of records on just one priest, John Geoghan. “To me what was most striking was what was not in the documents. Nowhere in 10,000 pages could we find a single expression of concern or remorse for even one of the children who wandered into Geoghan’s grasp,” Robinson said. By 2003, when the Spotlight team had finished its work it had published 900 stories. It coincided with the “dawn of the internet age”. 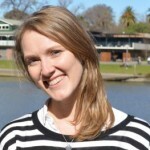 “Our stories went viral, within a day or so, we were getting emails or phone calls from victims across the US and around the world, even from here in Australia. We were, to put it mildly, stunned,” he said. “Before 2002, you have to remember the only thing that spread like wildfire, was a wildfire. But he also noted that the very technology that had helped give the story it’s “outsize, worldwide impact”, precipitated and accelerated journalism’s financial freefall. “It has robbed us of the revenue stream that has made investigative journalism, indeed any good journalism, possible,” Robinson said. “The internet’s impact on journalism inhibits the very reporting that helps cleanse democracy, that makes it possible for citizens to make informed decisions in our democracy, that ensures the powerful institutions are indeed help accountable. Robinson, who has been at the Boston Globe since 1972, and watched the newsroom shrink from 550 journalists to 230, lamented that the story had first come to light as a consequence of a column by the court reporter, a beat which no longer exists for many newspapers. He said there were many stories that would not be told as a result of cuts to newsrooms. “In the last year or so, much of the world has been fixated on whether we can trust the news we read and see. To me, what is more worrisome is that much of what should be in our local newspapers and on television news shows is not being covered at all,” Robinson said. However he also talked about how in 2016, at a time when the economic and journalistic fortunes of US media “could not have seemed bleaker” – Donald Trump unwittingly became the new patron saint of the First Amendment. He explained how Trump’s attempts to undermine the Constitution had awakened the slumbering watchdogs of the Fourth Estate. “The watchdogs are now barking so loudly, that much of the public is starting to stir as well,” Robinson said. His message for the nation and Trump was that: “It is the role of the press to protect the public from the excesses of government, it is not the role of the government to protect the public from the supposed excesses of the press”. He said he found it unimaginable that good journalism would vanish because people were indifferent and did not care enough to support. “That we cannot let happen,” Robinson said. It marked the 80th AN Smith Lecture in Journalism, one of Australia’s most prestigious annual journalism lectures which has included speakers such as Emily Bell, Mark Scott, Greg Hywood, Sarah Ferguson and Rupert Murdoch.